Wirral Ark Dinghies (WAD) is a 'business' run by Wirral Churches' Ark Project, the well known homeless hostel operators. 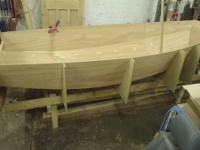 Clients take part in practical 'work' renovating wooden sailing dinghies, mainly Mirror dinghies, and making trollies, which are then sold to finance the scheme. At all times they have restored boats for sale. Contact Wirral Ark Dinghies. 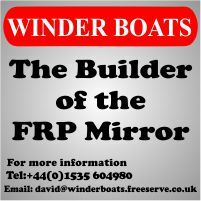 They are often looking for Mirrors, and other dinghies, in need of restoration which owners are willing donate, they also take paint, wood, nuts, bolts, nails, screws, and workshop tools. Sadly Wirral Ark Dinghies ceased to function in 2014, but it's now back (2018).